Insert approx: 15-1/4" x 7-15/16". Insert approx: 16-3/4" x 9". 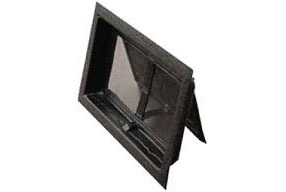 1/4" molded-in screen for insect protection. 50 sq. in. 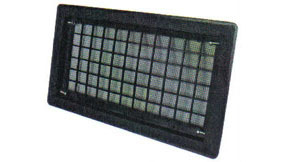 net free ventilation area. 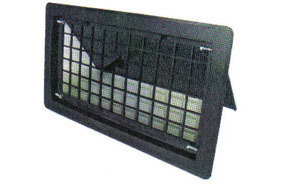 Includes optional fixed louver. See Color Chart. Fits hole size 8" x 16". 1/4" Galvanized wire screen for insect protection. 50 sq. in. net free ventilation area. 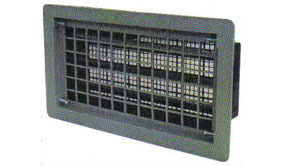 Includes optional fixed louver. See Color Chart. Fits hole size 8" x 16".